Subsequently, JAXA monitored the satellite's condition, and has verified that all its functions, including the data processing system, are working normally and have returned to regular operations. As Jaxa previously announced, Daichi had automatically put itself into safety mode because the anomaly detection function had been activated at 10:51 p.m. on January 27 (JST). 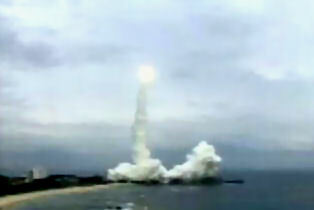 "Final-phase operations are proceeding in the launch site for the launch scheduled for Saturday, February 18, 2006. 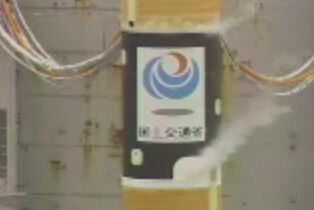 The propellant-loaded MTSAT-2 at the end of January was mated with PLA on February 3 (see photo 1). 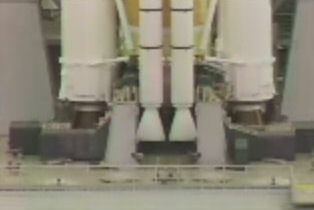 PLA is structurally a part of launch vehicle, interfacing the launch vehicle with the satellite. The type of PLA used this time is “1666MA” whose diameter of the interface (contact) section with the satellite is 1,666 mm, and the shape is like an upturned sake cup. After mated with PLA, MTSAT-2 was mated with the payload support structure (PSS), an interface with the payload fairing (see photo 2). 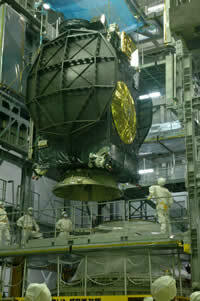 On February 5, 2006, encapsulation into the payload fairing was conducted and completed as scheduled (see photo 3). The encapsulated MTSAT-2 will be moved to the Vehicle Assembly Building (VAB) to mate with the launch vehicle on February 10, 2006." "The preparation of two satellites that will be launched from Tanegashima and Uchinoura, respectively, are being carried out on schedule. Photo 1: The nose fairing assembly for the ASTRO-F/M-V-8 (Feb. 6)"
"Preparation of the ASTRO-F launch is progressing on schedule at JAXA's Uchinoura Space Center. The satellite has completed standalone tests and was connected onto the 3rd stage of the M-V-8 rocket (Photo 2). Function tests after the connection was also went successfully. The satellite is covered by the nose fairing and will be mounted on the 1st & 2nd stage of the rocket." "Two satellites that will be launched from Tanegashima and Uchinoura respectively have been smoothly undergoing preparations for launch." "The payload fairing containing MTSAT-2 was moved slowly from the Spacecraft and Fairing Assembly Building (SFA) to the Vehicle Assembly Building (VAB) at 8 km per hour for about 30 minutes in the morning on February 10, 2006 for loading onto H-IIA F9. Since spacecraft is equipped with a lot of precision equipment including observational equipment and communication antennas, air-conditioning inside the payload fairing is essential. Therefore, the payload fairing was carried on an exclusive wheeled platform to control the temperature and humidity at the specified value during transfer to VAB. In VAB, the payload fairing was hoisted carefully with crane, lifted down slowly onto the top of the 2nd stage of H-IIA F9, and mated. Final functional check is to be carried out on February 11, 2006." 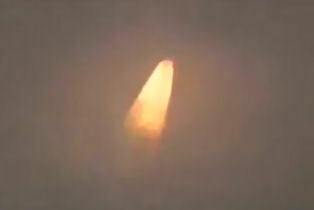 "LRR meeting was held today (February 13), and launch operation status so far and coming operations were confirmed. As a result, it was decided that Y-3 (3 days before launch) countdown operation would start tomorrow. Launch day is called Y-0. Since the launch window starts 3:26 p.m. (JST) this time, Y-0 operation will be carried out from the day before launch until the launch day. Tomorrow (February 14) is Y-3 on the launch schedule, though it is actually 4 days before launch." "Today, Y-3 operations including propulsion system checkup and operational checkup of each engine igniter of the 1st and 2nd stages of the launch vehicle were completed as scheduled. Launch preparation is progressing on schedule. H-IIA F9 does not have cameras to take images of SRB-A/SSB jettison and MTSAT-2 separation, because weight of additional equipment like a technical telemeter must be minimized due to small margin of launch capability. Camera images are not required always to evaluate that the launch vehicle is functioning well." "Today, pyrotechnics wiring for the launch vehicle, one of Y-2 operations, was completed without problems, including connection of detonating fuses for SRB-A jettison and first/second stages separation." 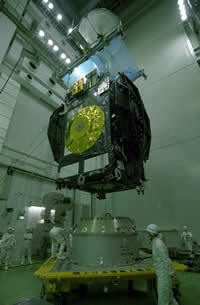 "ASTRO-F is ISAS's first satellite for infrared astronomy. It has a 70 cm telescope, which is cooled down to -270 degree with liquid helium in order to suppress unwanted infrared radiation from the telescope itself. ASTRO-F fly into a polar orbit along the twilight zone. = Size : 2026 * 1880 * 3675 mm (at launch)"
"Rocket System Corporation (RSC) and the Japan Aerospace Exploration Agency (JAXA) would like to announce a change in the launch time of the Multi-functional Transport Satellite 2 (MTSAT-2) aboard the H-IIA Launch Vehicle No. 9 (H-IIA F9) following the collision avoidance analysis with the manned space system(s)* which is performed one day prior to the launch day. The MTSAT-2 belongs to the Civil Aviation Bureau and the Japan Meteorological Agency under the Ministry of Land, Infrastructure and Transport. * A collision avoidance analysis is an analysis carried out prior to a rocket launch to avoid a collision with manned space systems, such as the International Space Station, which are in orbit. In principal, a launch vehicle and any of its separated objects should not collide with manned space systems from the launch until its completion of the first round around the earth." This is less than Six Hours away! "Rocket System Corporation (RSC) and the Japan Aerospace Exploration Agency (JAXA) launched the Multi-functional Transport Satellite 2 (MTSAT-2) aboard the H-IIA Launch Vehicle No. 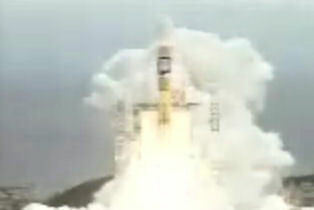 9 (H-IIA F9) at 3:27 p.m. on February 18, 2006 (Japan Standard Time, JST) from the Tanegashima Space Center. The initial flight azimuth was 99.5 degrees. The launch vehicle flew smoothly, and, at about 28 minutes and 11 seconds after liftoff, the separation and injection of the MTSAT-2 into a Geostationary transfer orbit were confirmed. At the time of the launch, a wind speed was 7.5 m/second from the North West and the temperature was 11.2 degrees Celsius." "The H-2A rocket's next launch is currently scheduled for no earlier than July with a pair of reconnaissance satellites (IGS-1C and IGS-2C - anik's note) to replace those lost in the failure of an H-2A flight in November 2003. Within the next twelve months, two more H-2A missions are manifested with the ETS-8 engineering test satellite and another spy satellite twosome." 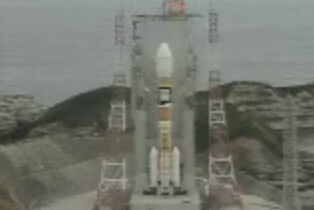 JAXA: "It is one hour to liftoff. Launch operation is going well. 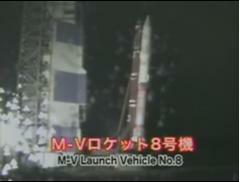 M-V rocket is beautifully lighted up." Pre-launch coverage started. Seems they are a bit like SeaLaunch with their strange musical tastes. Rain? That's not looking too good. 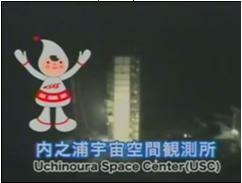 I don't think that was a live image, it still seems to be a preview loop on the webcast.